Nancy- Katie O’Boyle stopped by to talk about her new book, Finding the Way Back To Love. It is a Contemporary Romance and was released on February 4, 2015. Please tell my readers a little bit about your book. 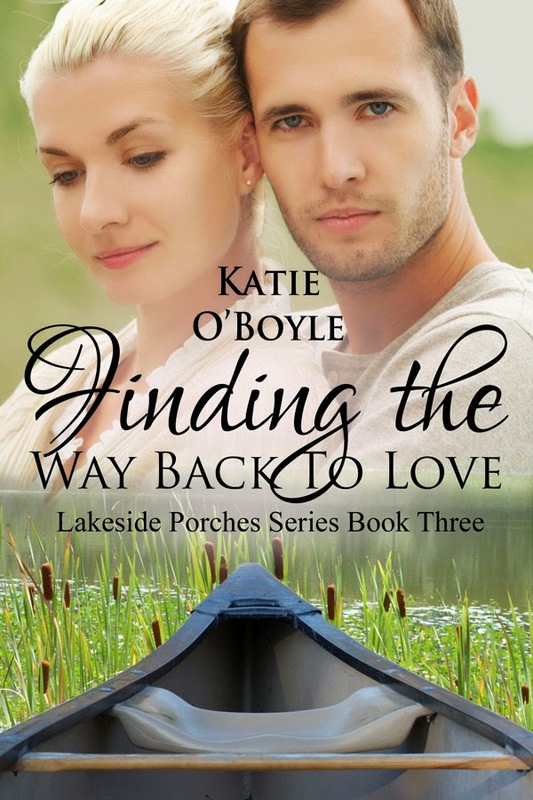 Katie- Gwen and Peter’s love story, Finding the Way Back To Love, is the third book in my Lakeside Porches series from Soul Mate Publishing. It shows what happens when a recovering alcoholic, who devotes her professional and personal life to helping others in recovery, falls in love with a child of an alcoholic, who has no experience with recovery and who has disdain for all alcoholics. Katie- Three years ago, a watershed experience moved me to begin writing every day, with publication in mind. It happened at the end of January, on a frosty morning just like today. We had taken our dear friend John to the famous Sunday Brunch at the Belhusrt Castle in Geneva, NY. John had turned 90 that month! I was so impressed with the tables of freshly prepared food, the attentiveness of the staff, and the waitresses who fussed over his birthday—all of them working as a team to make the day special for John and for all their customers. As we left, I thought about all their stories—the chefs, waitresses, busboys, and all those behind the scenes—accountants, receptionists, and so on. I imagined a fictitious city close by (Tompkins Falls) with a similar inn (The Manse Inn and Spa) on a hitherto unknown Finger Lake (Chestnut Lake). Along with that, I developed a whole cast of fictitious characters and associated, warm-hearted love stories. I’ve been writing those stories ever since and loving every minute of it. Katie- I write every day, but not on a schedule. My favorite way to start the day is to get up before dawn, make a pot of coffee and write. As I write this, just after the first of the year, my office in my new apartment allows me to see the sunrise over one of the Finger Lakes, and I’m ready for a break by then. Katie- I especially enjoy the way my books lead to conversations about recovery. Most people’s lives have been affected by alcoholism or other forms of substance abuse, and my books offer a hopeful but realistic perspective, in the context of a heart-warming love story. I love sharing perspectives on the solution, with my readers. Katie- I’m a member of several groups, and each has made a positive difference in my writing and my career. I belong to Romance Writers of America, and I have taken advantage of their PRO critique opportunities and several of their chapter contests. Those activities have taken my writing to a new level. I network with the Lilac City Rochester Writers and enjoy their monthly meetings and conferences. Since I moved last fall, I’ve been enjoying the Canandaigua Writers Group that meets monthly at the Wood Library in Canandaigua. What a delight to talk about writing and books with a group that has such diverse interests! I come away from each meeting energized and committed to good writing. 1) There’s a red fox that patrols the woods behind my place, and over the holidays he looked like he was wearing a Santa Claus suit. 2) I love, love, love dark chocolate, especially Butlers from Ireland. 3) I’m going on a photography trip to Cornwall in a few months, and I can’t wait! The hero and heroine of book four of my Lakeside Porches series, Waking Up To Love, are spinning off a cozy mystery series set at Tompkins College. As I write, I’m reading every “college mystery” I can get my hands on. Gwen Forrester, Ph.D., 32, gifted psychotherapist and beautiful widow, is stuck in a rut, dating hotties on the fast track, when what she really wants is a life partner who’ll help her raise a family and make a difference in her home town of Tompkins Falls. New in town, Officer Peter Shaughnessy, 30, has recovered from the gunshot wound he suffered in a drug bust in his hometown of Syracuse, but he’s still smarting from his ex-wife’s betrayal and, before that, the years of abuse from his alcoholic father. When Gwen’s very-pregnant niece Haley trips the security system at Gwen’s lakeside home one moonlit summer night, it’s love at first sight for responding Officer Peter and stunned Aunt Gwen. By joining forces to help Haley, Peter and Gwen discover they’re a good team. Long, exhilarating canoe trips convince them they’re on the same page with their life goals. Then a destructive squall lands them on the rocks, and a night of stormy passion reveals painful truths that drive them apart. Are they willing to go to any length to find their way back to love? All three of the Lakeside Porches romance novels are published by Soul Mate Publishing, and are available on Amazon. O’Boyle passionately loves the Finger Lakes in every season. She cherishes the lakeside porch as a place for intimate sharing, laughter and inspiration. Some years ago, Katie was a stellar student and closet substance abuser at a picture-perfect small college. She credits loving friends, 12-step spirituality, and plenty of hard work for her transformation into her grown-up self: tech-savvy college professor and passionate author of warm-hearted romance. She skillfully weaves those essential experiences and knowledge throughout the Lakeside Porches romances. Nancy- Author Diana Cosby stopped by to answer questions and to announce the February 24th release of the e Box-Set for The MacGruder Brothers Series. 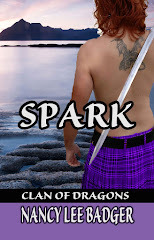 Since I LOVE anything Scottish, I asked her to tell my readers a little bit about this series. Diana- The MacGruder Brothers Series is set in medieval Scotland during their fight for freedom. Through my characters stories, the series takes readers through Scotland’s crowning a new king in the time when England’s ruler had set his sights on acquiring Scotland beneath his power. I loved researching this time-frame, and I work hard to try and ensure that my historical facts are correct, and I hope my readers enjoy the MacGruder Brother’s series as well. 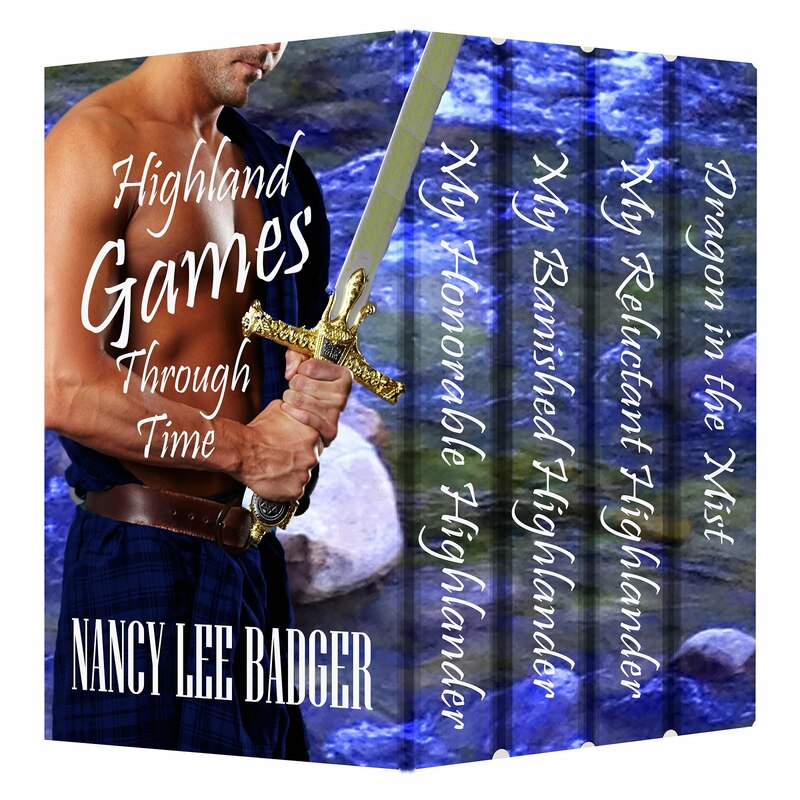 Nancy- I also include historical facts in my Scottish time travel books, so explain more about this particular genre. Also, is this the only genre you write in? 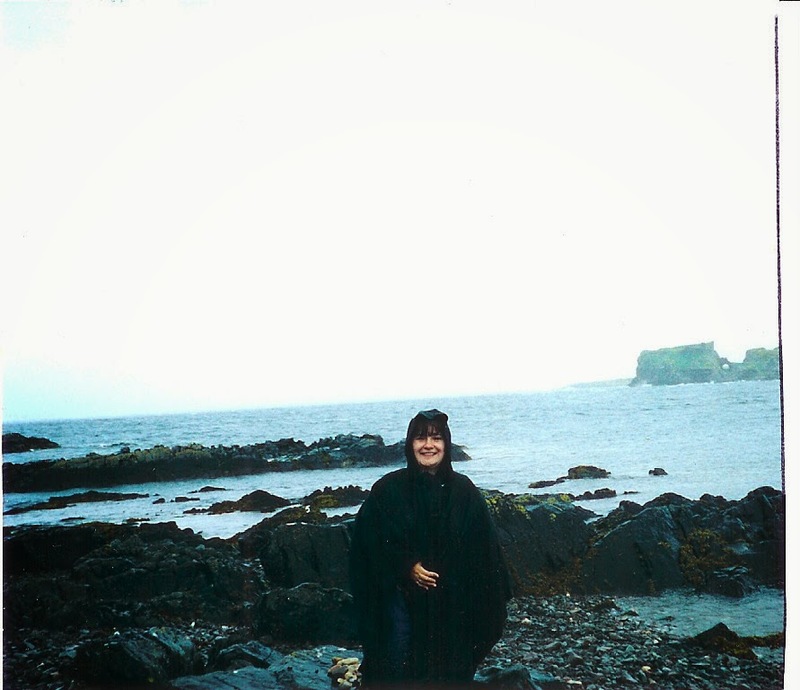 Diana- The MacGruder Brothers Series are Scottish medieval romantic suspense. I love writing action adventure stories, and every so often, I add in a touch of humor. One of my favorite things to do is to weave history into my stories. I wrote Highland Vampire, which is one of the stories in the Scottish Vampire anthology Born To Bite, with other stories by Hannah Howell and Erica Ridley. Nancy- Meeting Hannah Howell at a small local writer’s conference put me on the road to writing. Small world! When did you start writing toward publication? Diana- After I retired from the Navy. When I started on my first story, I knew I’d found my life’s passion. Nancy-Thank you for your service. Did you have several manuscripts finished before you sold? If so, did you send them out yourself? Diana- I was working on my 11th single title when I sold my 8th and 9th books that I’d written, their titles His Captive and His Woman. These books are the first two in The MacGruder Brothers Series. Yes, the first two books I sold I met with an editor at a conference, and with her request, I sent in both books for her consideration. Nancy- Two at once? Awesome! What is your writing routine like? Diana- When I’m writing new pages, I write five pages per day five days a week. This gives me 100 pages a month, and lets me finish a rough draft in four months. It’ll take me another four months to polish the manuscript before I send it to my editor. I use weekends to catch up on the business end of writing, which includes everything from taxes to interviews to signing bookmarks for readers and more. 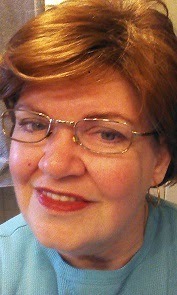 Diana- I belong to several writing chapters within the umbrella of Romance Writers of America. Connecting with other writers who are seriously pursuing a career in publishing has helped me tremendously on numerous levels. I can’t tell you how much the encouragement from other writers has made a profound difference in my life as well as the friendships I’ve made over the years. For anyone considering a career in writing, I highly encourage them to join professional writing groups and educate themselves about the writing industry of their respective genre. Thanks! Please Share three fun facts about you that most people don’t know. 1) I did quite a bit of scuba diving while I lived in Guam. 2) I worked at a riding stable when I lived in Alaska. 3) I love baking and creating recipes! Very interesting! What’s next for you? With the release of The MacGruder Brothers Series e Box-Set, I’ll be preparing for the release of the 2nd book in The Oath Trilogy, “An Oath Broken,” which is June 22nd. His Captive – Alexander’s goal is to avenge his father’s murder, not to become entangled with the enemy. But his desire to keep Nichola with him, in his home—in his bed—unwittingly make her a target for those who have no qualms about shedding English blood. His Woman – Lady Isabel Adair is the last woman Sir Duncan MacGruder wants to see again, much less be obliged to save. Three years ago, Isabel broke their engagement to become the Earl of Frasyer’s mistress, shattering Duncan’s heart and hopes in one painful blow. 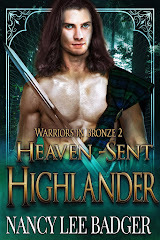 But Duncan’s promise to Isabel’s dying brother compels him to rescue her from those determined to bring down Scottish rebel Sir William Wallace. His Conquest – Seathan MacGruder, Earl of Grey, is not unused to cheating death. But even this legendary Scottish warrior is surprised when a beautiful Englishwoman creeps to his cell and offers him his freedom. What Linet wants in exchange, though—safe passage to the Highlands—is a steep price to pay. 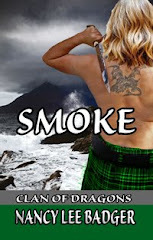 For the only thing more dangerous than the journey through embattled Scotland is the desire that smolders between these two fugitives the first time they touch . 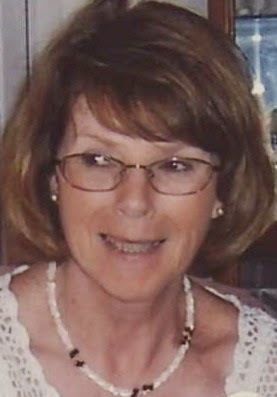 . .
A retired Navy Chief, Diana Cosby is an international bestselling author of Scottish medieval romantic suspense. Her award-winning MacGruder Brother books are translated in five languages. 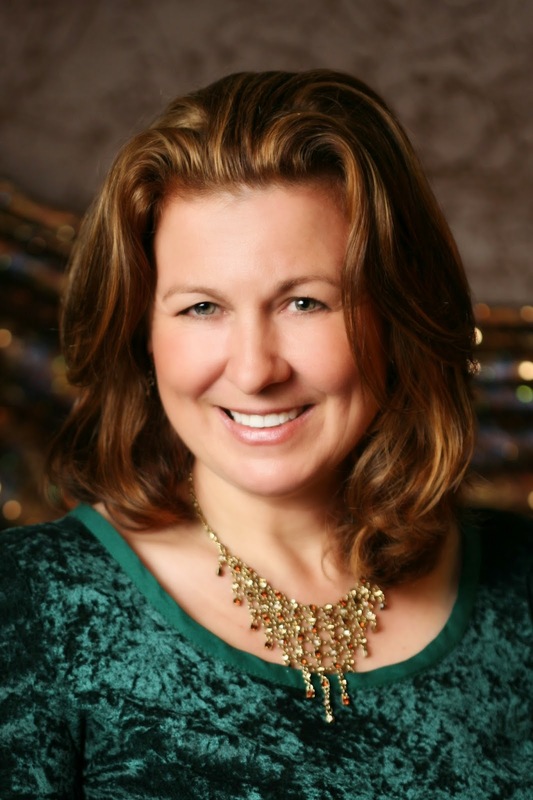 Diana has spoken at the Library of Congress, Lady Jane’s Salon in NYC, and appeared in Woman’s Day, on USA Today’s romance blog, “Happy Ever After,” MSN.com, Atlantic County Women Magazine, and Texoma Living Magazine. 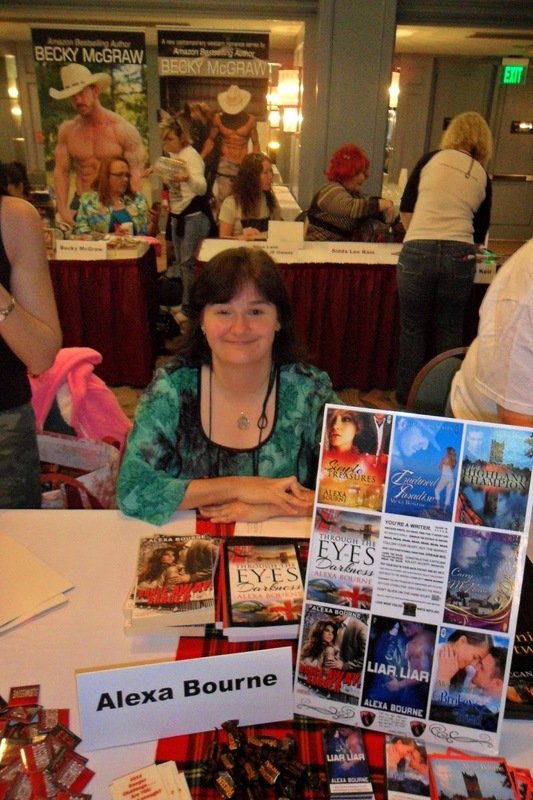 After her career in the Navy, Diana dove into her passion – writing romance novels. With 34 moves behind her, she was anxious to create characters who reflected the amazing cultures and people she’s met throughout the world. With the release of her 1st book in her new Scottish medieval The Oath trilogy, An Oath Taken, which hit bestseller lists in Canada and the United Kingdom, she’s now preparing for the release of the e Box Set of the MacGruder Brothers series on February 24th, and the last two books in The Oath trilogy, An Oath Broken – 22 June, and, An Oath Sworn – 23 December, 2015! 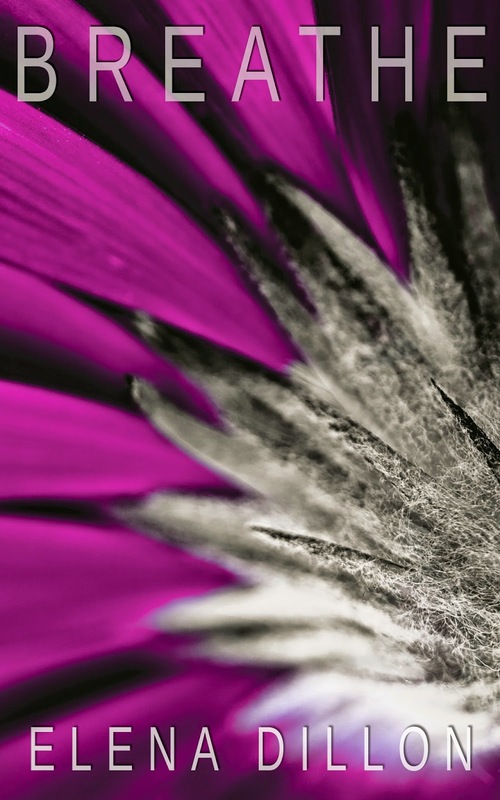 WRITE NOW 2015 Registration Now Open! 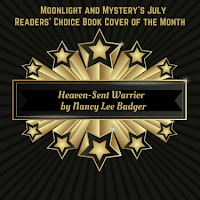 Welcome to the worlds of Nancy Lee Badger, Donna Steele, and Elena Dillon! Each author is giving away a fabulous prize in honor of VALENTINE'S DAY! 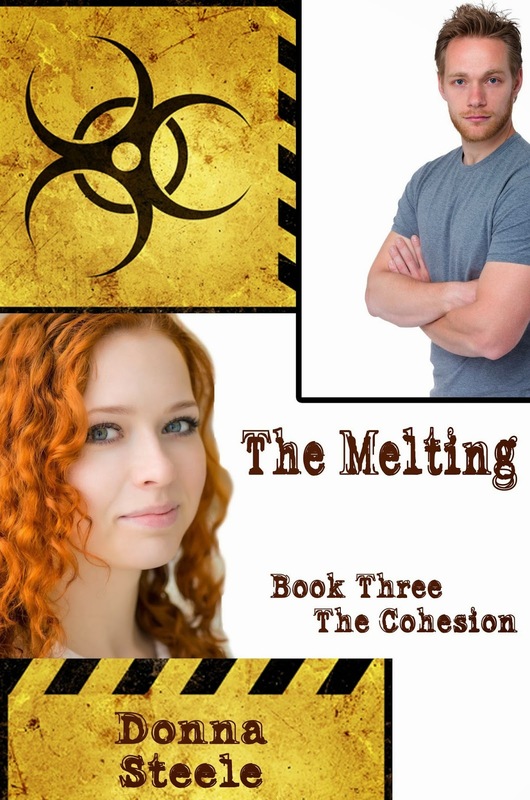 Donna Steele's latest release is The Melting, Book 3 - Cohesion , a sci-fi/paranormal romance. Donna shares her best memories of Valentine's Day - 'hat I remember most about Valentine’s Day growing up was, of course, the candy and the cards. Daddy never forgot to lavish us that day, because it was his birthday. Yep, on his birthday he always had to give away gifts. I thought that was a little unfair, but not enough not to get the candy. He arrived a 2 a.m. that morning in 1923 and Grandmother – who was like no other grandmother – called him one year (I think when he turned 50) at 2 a.m. as pay back for waking her that morning long ago. She always was the feisty one. Momma always got the very fancy fold down cards that made a lovely romantic scene and chocolate covered Brazil nuts. Sis and I got the smaller heart shaped boxes and Sis gave me anything that had nuts in it because she didn’t like those. But I did get more candy that way. We’d have a special dinner to celebrate (okay it wasn’t romantic for them, but I wasn’t thinking in those terms). One year we even had a coconut cake with the candy hearts on top as decoration along with the candles to be blown out. Sis and I would look for Valentine/Birthday cards as we got older. There were usually two different ones put out by Hallmark, never a very wide selection. He’d get both of them and pretend to complain that he was being cheated out of either a Valentine or a Birthday card each year. I still celebrate his birthday, taking cards and candy into work and leaving them for everyone in the suite. Happy ValenBirthtine Day everyone! Donna is giving away an AWESOME PRIZE! Elena Dillon writes- I really love Valentine’s Day. I love hearts, flowers, and celebrating love. Now you might not think that’s true because my stories aren’t exactly all about romance. I put my teenage characters in mortal peril. Like a lot. They are chased by stalkers, serial killers and mob murderers. This is no hearts and flowers, does he like me or doesn’t he romance. My characters are usually too busy running for their lives. I do, however love a happy and romantic ending so I guess that’s where the romance comes in. I love bad boys that aren’t so bad, heroes that will sacrifice anything for the love of their lives and edge of your seat endings where you hope no one dies so they can live happily ever after. So I was really excited when Nancy Lee and Donna asked me to be part of the Valentine’s Giveaway. I’m giving away the first three books my Breathe series each in a different format. Trane Braxton lives a double life. He can't risk getting close to anyone until Daisy Rourke , his longtime crush, insinuates herself into his very dangerous world. In Lafayette, Louisiana things are quite a bit different but in a good way. Good manners, Cajun accents, and a whole lot of Southern Hospitality all make her think things are going in the right direction. On top of that the most gorgeous boy she has ever met is interested in her. Her new friends are better than she could have hoped for, even if she is worried about what they might think when they find out who she is. Life would be perfect if odd things didn’t keep happening. Creepy phone calls, texts, and flowers in her locker start adding up quickly to something terrifying. Could the Monster have followed them to Lafayette? Was he coming after her this time? Maybe she was just worrying unnecessarily…or not. Links to the Breathe Series Here! 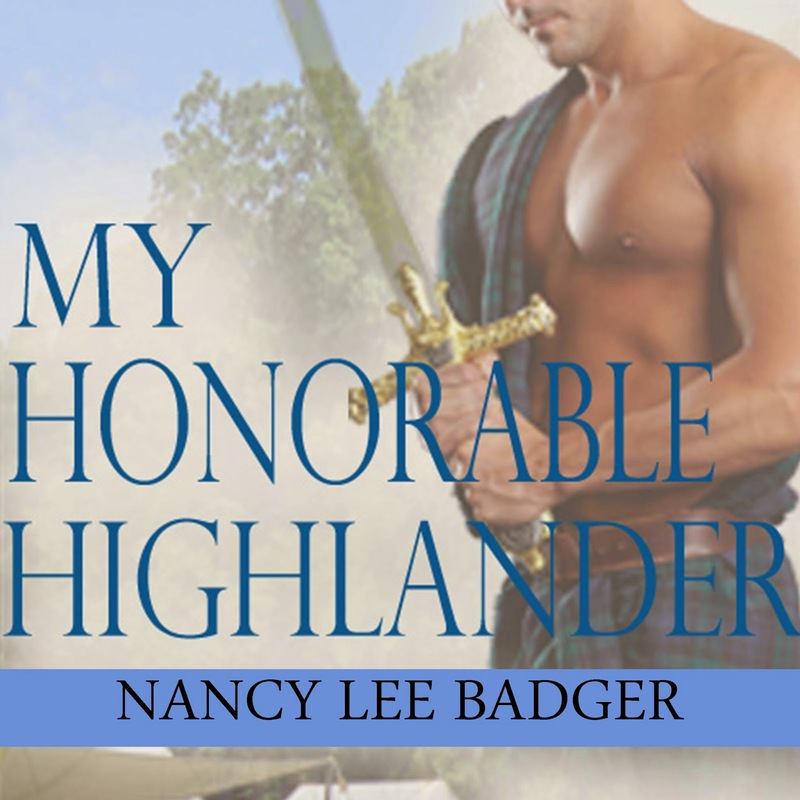 Nancy Lee Badger's latest release is My Dark Highlander, a Scottish time travel, and the 2nd book in the Kilted Athletes Through Time series..
"When I met my hubby at college, he wore cowboy boots that added two inches to his already impressive 6' 4" height. All my life, I felt taller than the boys at my other schools. He was a refreshing sight, and we soon hit it off. 38 years of marriage and two wonderful sons later, he is still my Valentine!" Nancy- Alexa Bourne stopped by to talk about herself and her latest release. Her book, Chasing Gold, is a romantic adventure and was released on January 23rd. Alexa- Chasing Gold is part of the Decadent Publishing Beyond Fairytales series. 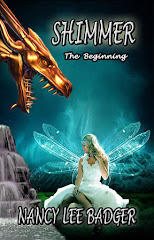 Each story is a romance adaptation of an ancient fairy tale. My fairy tale was The Golden Goose. Chasing Gold is a fun adventure with two very different treasure hunters who must put aside their differences in order to find an ancient Scottish prize. They have too many people on their tails as they travel through the modern day Scottish Highlands. I had SOOOOO much fun writing this book! Alexa- How could I not? I’ve been writing stories for as long as I can remember, with my very first story over 100 pages completed when I was in middle school. Writing, being creative, is calming and fills my soul. What other job is as rewarding? Alexa- I do! I submitted A LOT of work through the years before I signed my first contract. I saved all the rejection notices. Once I signed the first contract, I tossed all the rejections in a fire at a family member’s house. In my thoughts, I figured the fire ended the 1st part of my journey as a writer and with the contract I would be entering the 2nd part. I wanted to be prepared both mentally and emotionally and I wanted enough room to store all the contracts I hoped to get! Alexa- I have a day job so I have limited writing time. I get up at 4 a.m. Monday through Friday and write. If I can spend more time on writing at night I do, but at least I know I’m getting in 1 hour a day for sure. It takes me 5-6 weeks to write, revise & submit a novella. 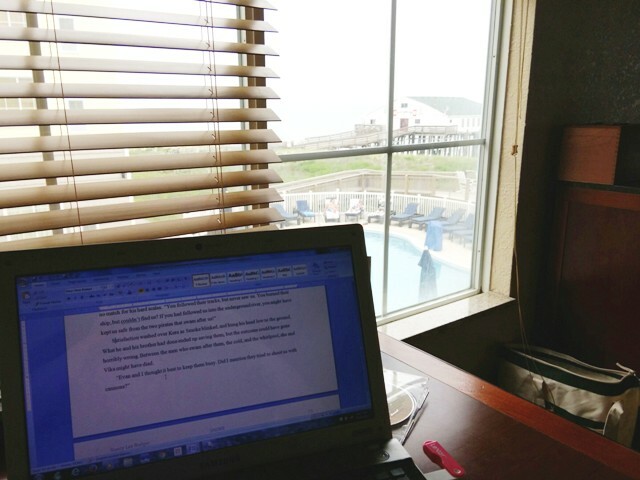 I go through several rounds of revisions (3-6) on my own before I submit the work to the publisher. Once I hit SEND, I celebrate by sleeping in for a few days! Then the next week I start something new. Oooh, and it’s important to say that I don’t do any promotional work during this 4-5 hour. It’s only for writing and revisions. Alexa- The best thing is when readers talk to me or post reviews talking about how much they loved my stories. I once had a lady at my local writing group meeting rush up to me from across the room and say, “I just have to tell you I LOVED your book!” THAT is an awesome feeling and makes me so proud. It also makes me want to get busy on the next one. Alexa- Sure! Be willing to take criticism, to learn your craft, to consider yourself a professional. And finally, it may take a long time (like mine did) to get that first contract, but DON’T GIVE UP! 1) My favorite color is blue, but I HATE baby blue. 2) I actually like haggis! 3) I once spent two years working on the rim of the Grand Canyon. Alexa- I’m working on a new book for my Hidden Destiny series, a series of books with light paranormal elements. One main character in each book has a superpower. 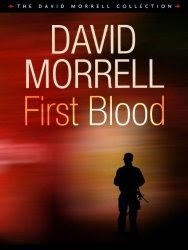 I just started this one 2 weeks ago & I will be submitting it by mid-March. Grace McKay spends most of her time alone trying to convince the world she’s strong enough and smart enough to become one of the best treasure hunters. According to the media, though, all she’s managed to prove is she’s a frigid, narrow-minded woman who doesn’t have a chance to succeed in her current hunt. Simon Andrews is tired of being a glorified secretary for his family’s treasure hunting business. As the youngest brother, he’s never had the chance to prove himself in the field, where his true interests lie. When Grace’s uncle hires Simon on a whim to assist her with the search for an ancient family heirloom, he comes up against a woman determined to accomplish her goal without his—or anyone’s—help. But Simon, although captivated by her passion for her quest and her beauty, will not relinquish his chance to prove both to the client and his brothers that he has the family gift for finding valuables where others have failed. Grace, frigid? Simon is sure the media met the wrong woman. He’s in danger of bursting into flames every time they are alone together. As they get closer to finding the heirloom, though, their growing passion for one another may distract them from the very real danger that threatens their lives and their possible future together. Whatever that might mean. After sipping her tea, she picked up another piece of pastry. Midway to her mouth, she stopped. A tall, thin man, glasses clinging to the end of his nose, strode through the doorway and scanned the room. A loose-fitting, faded T-shirt covered his chest, and khaki shorts hung on his hips. Kind of thin and bony for her liking, although the soft shade of ginger hair with a hint of blond in it grabbed her attention. It reminded her of her favorite movie star. Both hands were inside his pockets. He held out his long fingers. “I’m Simon Andrews.” He waited as if his name was supposed to mean something. He lowered his arm. “Your uncle said you’d be helping me on my expedition here.” From his New England accent, he could only be American. Uncle Thomas sent him? Of all the crappy things he’d done, this had to be the worst. Did he not believe in her enough to allow her to handle the job? She stood, gathering her papers. “My uncle was wrong. I don’t need any help with my expedition. Good-bye.” She shifted around him and started for the lobby. Studying her paperwork in her own room would suit her better. “Ms. McKay, wait.” He grabbed her arm. She froze. Every muscle tensed. She tugged herself free. “I know what he hired you for, but I’m telling you, you’re fired.” As she stalked across the pub, many pairs of eyes stared at her, some wide in question, some narrowed. Who cared? She hadn’t done anything wrong. “That’s not your call, sweetheart,” he said. She jerked to a stop just inside the door and spun around, gritting her teeth. Andrews stood waiting, as cocky as could be, with his hands on his hips. Nancy- Lynda K. Scott stopped by for a little one-on-one as she shares her latest release, Riding The Odds. This book is science fiction romance and was released on February 3rd. Please tell my readers a little bit about your book. 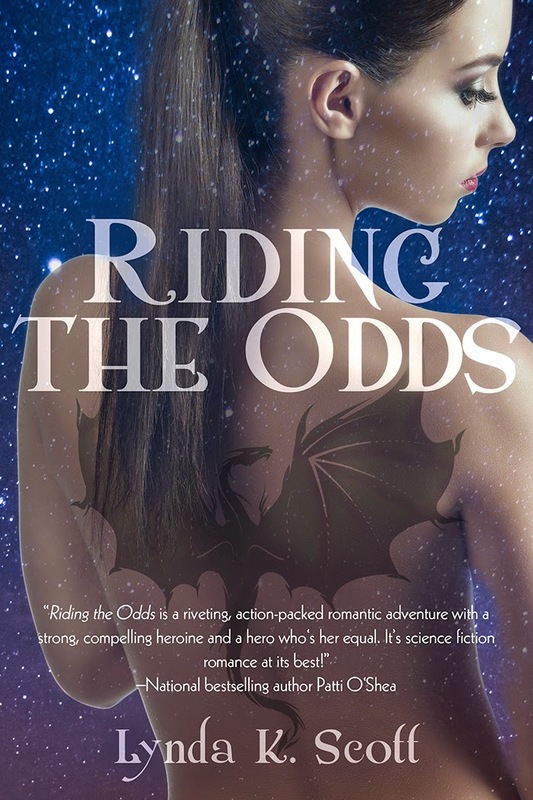 Lynda- Riding The Odds is a story of beating impossible odds to survive and to thrive when it seems the entire galaxy is against you. Tara Rowen survived the Risien Plague but lost her family. She’s rescued by missionaries but the rescue ship crashes on an outlawed planet. She accepts a Wild Rider, Zie, but has to flee to keep Zie and herself safe. She ends up on Bittersweet, a planet of down-on-their-luck settlers and hiding-from-the-law criminals but she learns to play poker and to create jewelry from a mentor there. All this before she turns 14. By the time she’s an adult, she’s a crewman on a cargo ship but her heart is always with the family-style space ship her parents owned before their deaths. She has a new identity for herself and Zie when the odds turn in her favor and she’s able to salvage the trade ship and re-name it Rowenhawk. She stays just above bankruptcy and obeys the laws…until her Rider, Zie, names a devastatingly handsome man as Tara’s mate. Although Riding The Odds is a science fiction romance, I’ve also done paranormal and horror, but I tend to gravitate toward science fiction. I’ve found that I can blend science and paranormal elements to make what I like to call Science Fantasy. I’m weird like that. Nancy- Nothing wrong with that! When did you start writing toward publication? Lynda- I started with short fiction a looonnngggg time ago in a land far away. No, wait, that’s a different story. It has been a long time though. As I said earlier, I started with short fiction, made some sales, got a huge number of rejection slips and spent a lot of money on stamps. Yes, I started before it became common to email your manuscript to your editor. Lynda- What else was I supposed to do with all these stories floating around in my head? Stories exist to be read, to be shared and/or to teach. So I needed to find a publisher for them. Lynda- I take care of my furbabies, the alien kitten Wookie and my darling Skye, a Golden Retriever first, then prep breakfast for myself and hubby. I try to get most of my writing done from mid-morning to noon, then in the evening. Of course, there are times when I get more or less writing time but my family and my pets tend to be time sponges unless I get very firm with them. Lynda- Don’t give up when you get that nasty rejection letter (and you will). Keep writing. Keep learning. Keep sending your manuscripts out. Eventually you’ll get the last laugh, just as I did. 1) If a tiny kitten has lost its mother, I know how to teach it to go potty. 2) I can bake a cake on a camp fire. 3) I know how to churn butter (learned at my grandmother’s knee). Did I mention I’m a font of useless and possibly scary information? Right now I’m working on book 2 in my Rider universe. It’s tentatively titled Riding The Storm and is about Christopher Drummond, aka Drummer, who made an appearance in Riding The Odds. He’s an ice jockey who wants revenge on the villain who tried to kill Tara in Riding The Odds. BOOK BLURB Spaceship captain Tara Rowan has a Rider—an organic symbiote—that enhances Tara's physical abilities. But she can never risk anyone discovering her Rider's true origins. Especially not the sexily dangerous stranger who appears out of nowhere. Trace Munroe is looking for a kidnapped princess, and the only way to find her is to blackmail Tara. Except that a blazing attraction to Tara is definitely complicating things...and if Trace follows his code of honor, it could destroy the woman he's falling for. 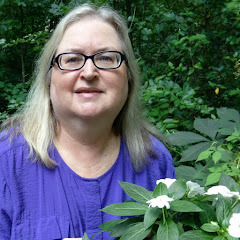 Lynda K. Scott is a member of RWA and several RWA chapters. She has been a member of the Horror Writers of America and the SFFWA (for science fiction writers) which was also a good learning source. Highland Games are NOT to be Missed! I met a woman today at my local KFC Restaurant. Since I was wearing my new fleece jacket with the New Hampshire Highland Games logo on the left breast, she and I started talking about Highland games. These Scottish events take place in several North Carolina locations, and I recommended the Loch Norman Highland Games held ever spring at the Rural Hill Historic site in Huntersville, NC. For someone who has never attended one of these Scottish festivals, a small one like this one is perfect.